The Royal Commission has found that the former Archbishop of Sydney, Cardinal George Pell, placed the Church’s financial interests above his obligation to a victim of sexual abuse to protect the Church's assets, reports The Australian. 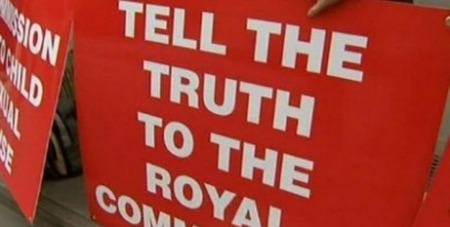 The Royal Commission into Institutional Responses to Child Sexual Abuse reported yesterday on three case studies, ­including that of solicitor John Ellis, who it found was denied justice and compassion by the Archdiocese of Sydney, which vigorously defended his compensation claim despite its own asses­sor’s conclusion he was telling the truth. Mr Ellis was sexually assaulted by Fr Aidan Duggan for five years between 1974 and 1979, when he was an altar boy. The abuse began when Mr Ellis was 13 years old. When he finally disclosed the abuse and, in 2002, took part in the church’s Towards Healingprocess, set up to offer pastoral care and reparation to victims, the Church fundamentally failed to comply with the principles of its own policy. Negotiations between Mr Ellis, who continued to push for justice, and the Archdiocese subsequently collapsed after Mr Ellis, a former partner at a Sydney law firm, was offered $25,000 by the Church. The Royal Commission agreed yesterday that Cardinal Pell had failed to act fairly from a Christian point of view during the course of litigation launched by Mr Ellis, which ultimately failed. Solicitors for the archdiocese and Cardinal Pell disputed that Father Duggan had sexually abused Mr Ellis. The Royal Commission’s report concluded “the Archdiocese contrived an outcome that would allow them to maintain the non-admission of Mr Ellis’s abuse”. The Truth Justice and Healing Council, which responds to the royal commission, released a short comment: "The council is currently reviewing the reports."